Prince goes on to say the system works exactly how it should. The organizations fighting for lawsuit reform are putting profits before people and want to escape their responsibilities with these reforms. They’d rather avoid entering a courtroom to be held accountable for their actions. The underlying issue that’s being discussed is the seventh amendment – the right to trial by jury. With lawsuit reform, one of the goals is to take away an injured person’s access to the courtroom. As for an example that the system works, Prince discusses the workers’ compensation proceedings from 2011. Prior to the trials, there were only 30 insurance carriers for workers’ comp. 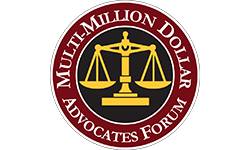 There are now more than 300, the cost of payouts has gone down, and the trial lawyers did their part to help save hundreds of millions of dollars. While Prince is against lawsuit reform, he does see the need for insurance reform. Even though those millions were saved from workers’ comp, he has yet to see a trickle-down effect to small business and wants to know why.